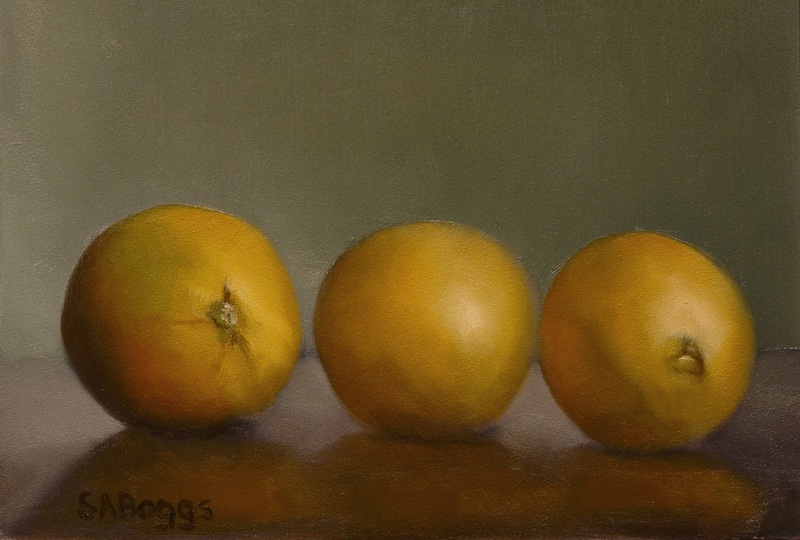 These are three navel oranges on a wooden table. I haven't painted oranges in quite a while so I though that I'd have a go at them with a smaller painting. I hope that you enjoy it!